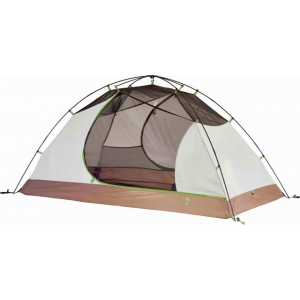 The tent is a reasonably spacious for a 2-person tent and the best feature I like is the double entrance. 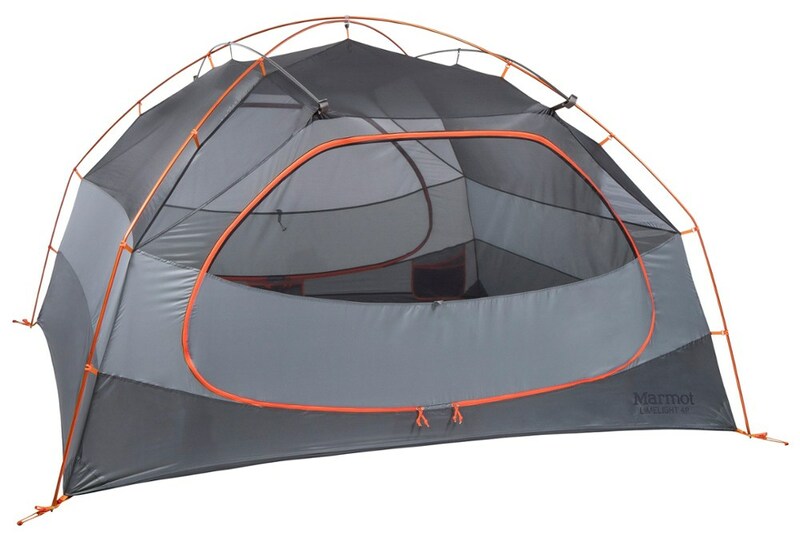 I bought this tent as a follow-up after buying a Tetragon tent from Eureka! 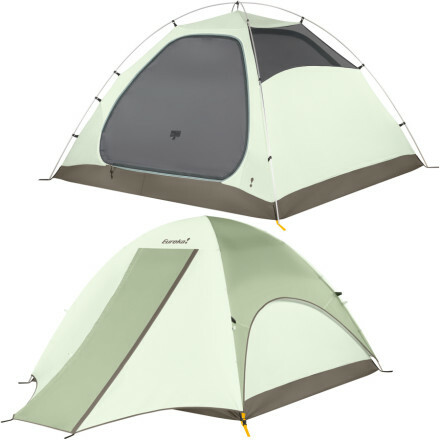 The tent is a reasonably spacious for a 2-person tent and the best feature I like is the double entrance. You can get up in the middle of the night, or early in the morning, without disturbing your tent mate. 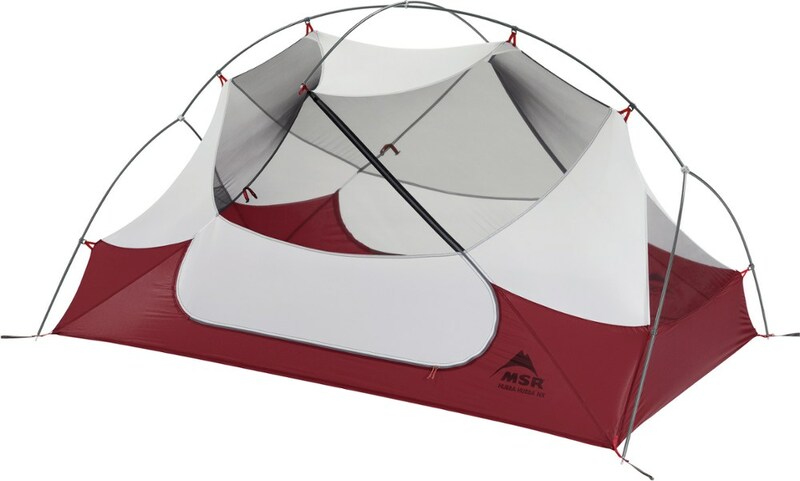 The symmetrical design makes it so no one gets the lesser side of the tent and it is easy to divide up space between sleeping and gear placement. Excellent value. Twin vestibules and doors. Built really well. I have had this tent for around 2 years and have taken it on several trips. 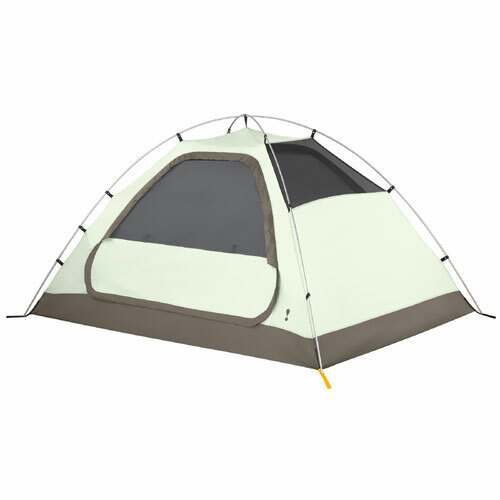 It was my first "backpacking" tent when I transitioned form car camping to backpacking. It's seen some rain and kept us dry. I would agree with the other reviews as it would be too heavy for solo use but, my wife and I split it up and that makes it very manageable. Lots of room on the inside, especially with the twin vestibules. 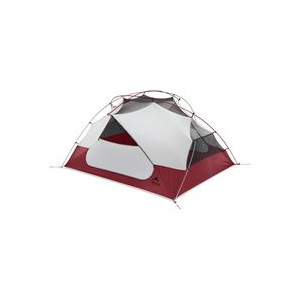 The only reason I didn't give it 5 stars is because there have been a couple of times I wish it had a fly-only pitch option, but I guess that is for more pricier tents. Overall, this is the best tent I've owned and can't see myself needing anything else unless something goes terribly wrong! A lot of space for two. The large vestibules allowed us to put our backpack outside the tent. No condensation at all after several days of rain. Also one day there was a pool under our tent and not a small drop of water went through. Really easy to divide to separate between two people. However, I would use a lighter tent for solo use. 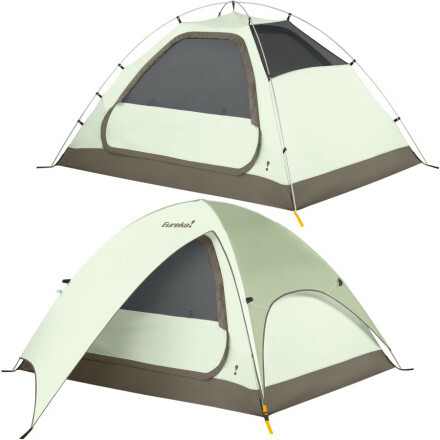 Overall it is a really good tent, but maybe the color will turn you off a little (mine is yellow). Very comfortable for 2 people (59" x 90" x 44"; I have a 22" air pad and my wife has a 26" exped, and those 2 won't fit in some tents that are only 50-51" wide) and pretty straightforward in setting up. No condensation w/both vestibules staked out, and no leaks during 2 rainly days here in Pac. NW. On the bulky side (24" long storage bag), but can divide with a partner. At 6# packed weight, OK for 2, but I would use something lighter for solo use. The Eureka! Scenic Pass 2XT is not available from the stores we monitor. It was last seen March 9, 2013	at Altrec Outdoors.